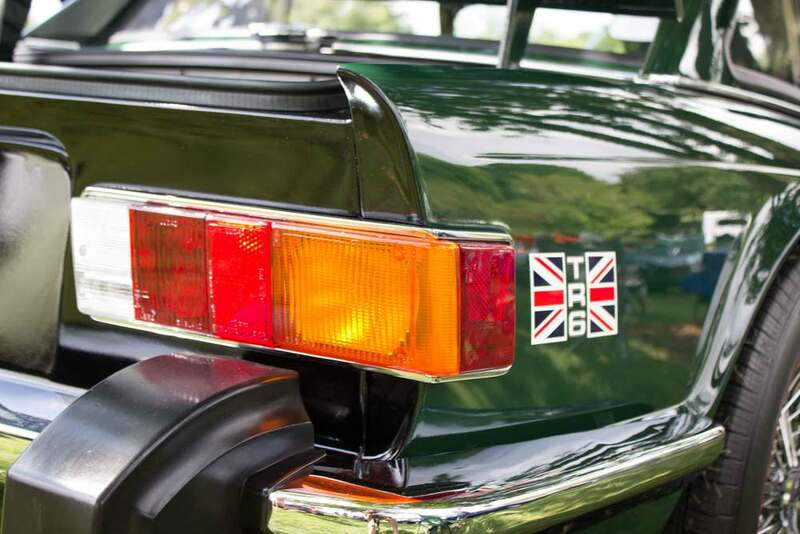 Our Triumph TR6 was built in May 1976, making it one of the last TR6s built before production ceased in July 1976. I purchased the car in 1994 from the last of five previous owners. Each of these owners lived in North Carolina and had maintained the TR6 in its original condition, which made restoration simpler. A decision was made to restore the car from the frame up (a mistake that was corrected later) to its "as new" condition. The engine was removed and rebuilt only because the engine compartment needed painting. 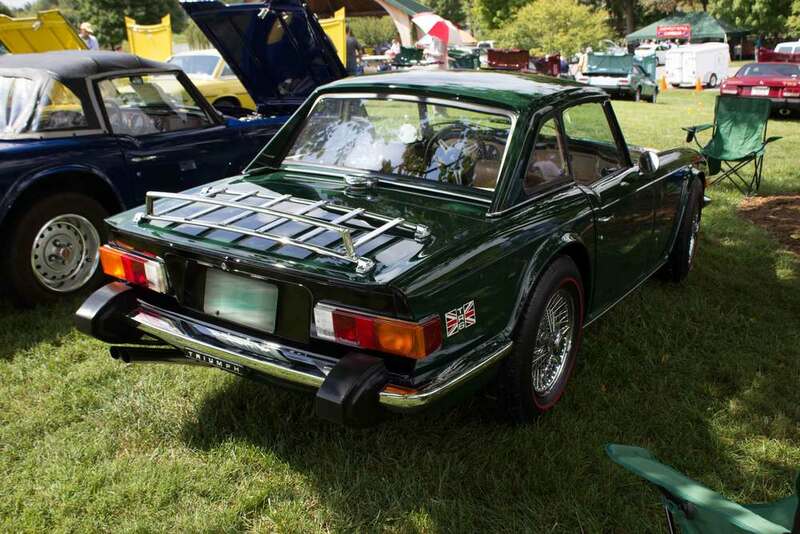 Paint, British Racing Green (Code 74), was mixed and applied to duplicate the same color as used by the factory. A new interior was installed that duplicated the original in both color and appearance. Restoration went from "if it's broke, replace it" to "if it does not look new then replace it with a NOS or new part." In 2010, the TR6 was taken to a restoration facility to have the under carriage cleaned and restored. After a conversation with a previous owner, it was discovered that this TR6 has a name: "Kermit." This previous owner, a young lady, drove Kermit to and from high school each day for a number of years. Kermit has won many awards over the past 20 years, including a Grand National Award from the Antique Automobile Club of America. The most recent award was the Gold Award in Modified Touring, CONCOURS D' ELEGANCE, at the Vintage Triumph Register Convention in Dobson, NC. The TR6 was also a featured vehicle on the TV Show, "Barrett Jackson On The Road." This TR6 has also contributed to a small cottage industry. Following numerous requests, an aftermarket item is now being reproduced for Triumphs and MGs that has not been available for over 30 years.